Playoffs are always full of surprises — an underdog team beats the top-seeded contender, a team puts together an unprecedented comeback, a team loses because of a crucial mistake — it’s all happened before. 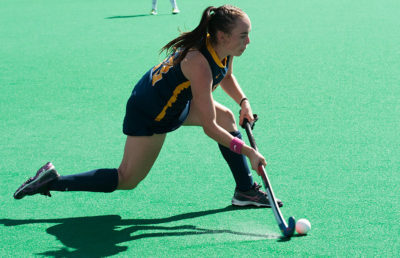 For the Cal field hockey team (9-8), whose season was characterized by a sudden improvement from recent years, its biggest surprise was how quickly its season came to an end after suffering a 3-2 overtime loss to New Hampshire (9-12) in the America East Field Hockey Championships Quarterfinals. The game remained scoreless for most of the first half. Both teams came out aggressive, but New Hampshire had the shooting edge over Cal. 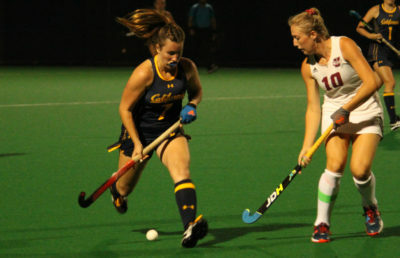 Despite New Hampshire’s seven first-half shots compared to Cal’s two, the Bears got on the board first after a goal from freshman Megan Rodgers in the 32nd minute. While the first half was very quiet offensively, both teams got things going in the second half. The Wildcats set the pace after they tied the game up after a successful corner in the 43rd minute. After a few minutes, the Bears found the net with a deflected shot from a corner in the 54th minute to retake the lead. But soon after, New Hampshire countered with its own goal from another corner shot in the 65th minute. After both teams were unable to score to win the game, they headed into overtime tied at two goals each. In overtime, both teams were equally aggressive, but Cal couldn’t get into rhythm and take advantage of scoring opportunities. Ultimately, the Wildcats broke through sophomore goalie Danielle Mentink, who had tallied double-digit saves, to win the game and eliminate Cal. 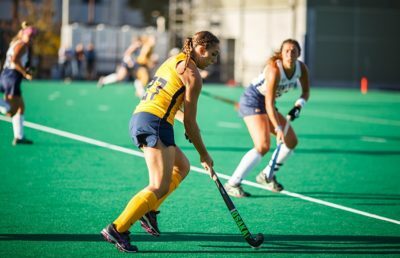 In the loss, Rodgers increased her goal count to an impressive 17 scores, and she now holds the sixth-most goals in a single season at Cal. 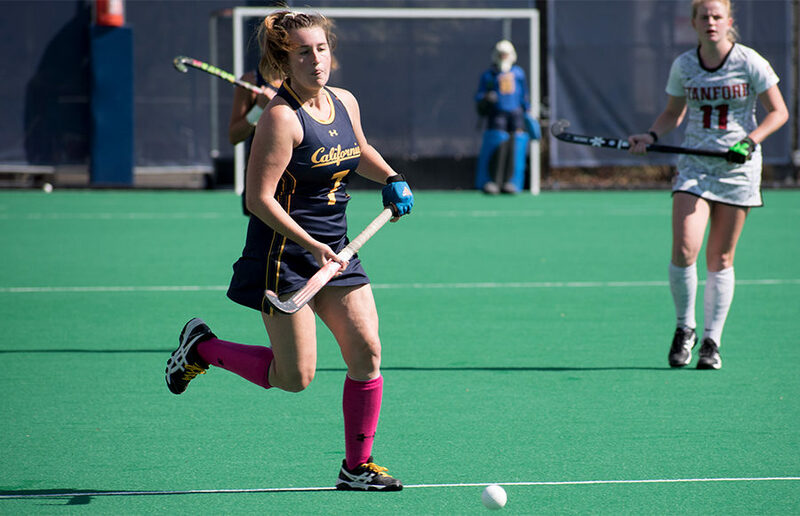 Junior Melina Moore also made headlines this week after she tallied her 8th goal of the season and moved closer to the top 10 all-time scorers at Cal. The Bears’ season had its share of promising moments. For a while, Cal’s national ranking was inching closer to the top 25, but after three pivotal losses in a row to No. 6 Penn State, No. 21 Ohio State and Pacific, its hopes of getting in diminished. The Bears ended their season with a winning record for the first time in six years, clinched a share of their division title and at one point were on a six-game win streak. While the Bears did not advance too far into the playoffs, they did have a tremendous season that they should be proud of. They’ll take their talented roster and their experience from this season into the next and continue to improve.